Home > Aalto Vases > iittala Aalto Emerald Vase - 4-3/4"
Not too tall to be distracting as a centerpiece, the iittala Aalto 4-3/4" Vase provides the perfect home for a handful of fresh cut flowers at dinner. But its use isn't limited to just bouquets; fill it with candies or simply display it empty as the art piece it was intended to be. Saturated in the alluring jewel tone of the 2016 Emerald color, the 1936 design is as lively as ever. Though the award-winning design's raw beauty seems like an organic occurence, it requires 7 craftsmen, 12 work stages and 30 hours to create just one of these extraordinary works of art. 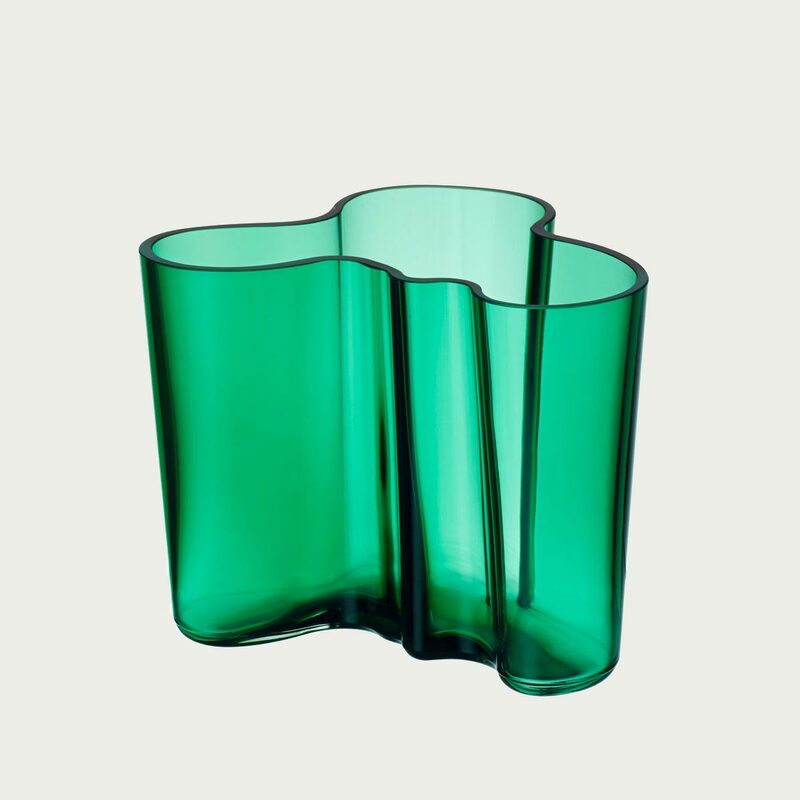 Reviews of iittala Aalto Emerald Vase - 4-3/4"
Questions & Answers for iittala Aalto Emerald Vase - 4-3/4"
Hello Can this vase be used for candles? Thanks! This vase is not designed to be used for candles, so it is not recommended to do so.